Wall Street could be forgiven for having doubts about the solar market last year. On the residential side, a string of bankruptcies and withdrawals cast doubt on the prevailing business model. Utility-scale companies had to contend with the unwelcome appearance of tariff proceedings, which threw business planning into disarray. And there was the lingering hangover from SunEdison’s epic burnout, which left a whiff of danger around clean energy investments. Lately, though, investors seem to have warmed up to solar stocks. 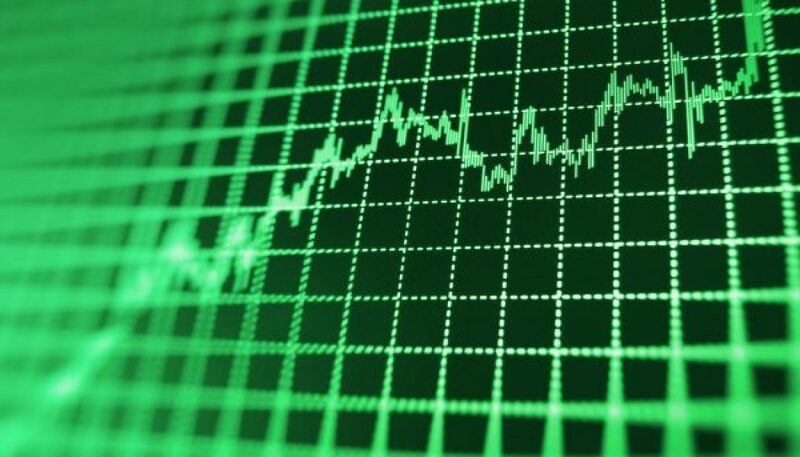 A review of publicly traded solar and solar-adjacent companies shows strong improvement in share prices so far in 2018 for several, but not all. This comes at a time when the S&P 500 Index is back where it started the year, after a sharp rise and steep fall. The exact cause of improving solar stocks is likely unknowable. Perhaps the tariff outcome didn’t hit the industry as hard as some investors had predicted. California’s groundbreaking new home solar mandate certainly sweetens the market for rooftop solar. It could be that the logic of solar energy takes time to explain to people, investors included, and now it’s finally starting to catch on. Whatever the reasons, the landscape has come a long way since late 2016, when GTM was asking, “What the hell is going on with solar stocks?” Here are the solar stocks that have gained traction this year, and a few that haven’t. Author’s note: We are but humble market observers. If you’re looking for cleantech investment advice, I wouldn’t give it out for free in a news story. The Israeli smart inverter company entered the year with a stock price at $38 per share. Since then it’s been all about the growth, cresting around $70 after its May earnings report. After that, it dropped down to around $60, putting it up a healthy 50 percent for the year so far. SolarEdge has long boasted profits and global reach. It maintained that record in Q1, with revenues of $209.9 million, up 82 percent from Q1 2017. Cash and cash equivalents at the end of March totaled $400.8 million, compared to $345.1 million at the end of 2017. The company recently began expanding its revenue streams beyond the competitive power electronics hardware business. SolarEdge now offers a combination solar inverter and electric-vehicle charger. In May, it launched a virtual power plant system that turns the fleet of inverters and DC optimizers into networked energy resources. That system is already at work in the U.S., the Netherlands and Australia. Virtual power plants aren’t going to be big money-makers for a while still — the regulatory hurdles are high in most markets. But creating that service business hedges against commoditization in the inverter market. The current No. 1 rooftop solar installer has nearly doubled in value in 2018. It started the year at $5.92, dipped to a low point in February, and since then climbed steadily up to a current value of nearly $11 per share. Sunrun’s business model takes some time to explain. It doesn’t simply install solar on roofs; it raises capital to deliver solar leases that become revenue-generating assets for years to come. It does this through in-house installations as well as by partnering with outside installers. It’s added storage to the product suite, and is building out a grid services business to monetize its fleet of distributed solar and storage assets. Since the last time its stock price was this high, in late 2015, Sunrun emerged as the clear front-runner in the residential segment. Former market leader SolarCity has disappeared within Tesla. Vivint lagged behind in adopting storage after its initial partner, Mercedes-Benz, abruptly left the game. At least the company is still standing, unlike many of its peers from the last few years. Sunrun differentiates itself by splitting the difference between the national vertically integrated model and the local “long tail” approach. It’s too early to say whether this will work for the long haul, but for investors looking for a piece of residential solar, Sunrun’s currently the most likely contender. Microinverter company Enphase escaped a near-death experience and bottom-barrel share price in 2017, and more than doubled its value this year. The company had been trading below $1 last summer, which prompts a delisting from Nasdaq if not corrected. Enphase had been scrambling to cut costs and improve gross margins as it rolled out its new IQ7 generation of microinverters. It switched CEOs, launched AC modules and chased global markets. Now it’s grown from $2.60 at the new year to $5.85 on Tuesday. That’s strong progress relative to a small base; Enphase’s market cap sits at $570 million compared to competitor SolarEdge’s $2.71 billion. As noted, Enphase rolled out the IQ7 this year, and generated a couple million dollars in positive free cash flow. Meanwhile, it’s expanded the AC module partnerships, where the company embeds its microinverters in a PV module for streamlined installation. The company stopped and reversed the freefall, and seems to be in position to continue executing its product roadmap. The U.S. thin-film manufacturer and utility-scale developer has been on a tear since solar tariff proceedings got started in April 2017. Since it uses an unconventional cadmium-telluride thin-film technology, First Solar dodged the 30 percent import tariffs that snared conventional PV earlier this year. It entered 2018 with record sales and a three-year backlog to work through and a new U.S.-based manufaturing facility in the works. Despite all those positive indicators, First Solar’s stock has hovered right around $70, exactly where it started the year. It looks like investors priced in First Solar’s tariff-related advantages in 2017, and haven’t found cause for renewed excitement just yet. That said, the price is sitting higher than it’s been since 2011; 2018 hasn’t seen much growth, but the last 12 months sure have. SunPower is back where it started the year, just shy of $9 per share. That’s not too shabby given SunPower’s precarious position. The tariffs, designed to counteract cheap imports from foreign companies, perversely threatened this U.S.-based company that sells a premium high-efficiency module, but mostly manufactures overseas. CEO Tom Werner discussed canceling projects, halting new investments and reducing headcount in the wake of the tariff decision. The company may dodge the worst of that with its impending acquisition of SolarWorld, one of the tariff petitioners, to create more U.S. manufacturing options and sweeten its appeal for tariff exclusion. Its biggest share price rally of the year came when it announced the acquisition plans. The company’s challenges go beyond tariffs, though. It posted a net loss of $851.2 million in 2017 and $471.1 million in 2016. The company planned to sell 45,000 residential solar contracts for around $200 million in the first half of 2018 to raise cash and reduce debt. Wall Street might not be enthusiastic about this company, but it’s not overly skeptical. The other leading standalone rooftop solar installer hasn’t delivered the kind of stock growth Sunrun has shown. Utah-based Vivint Solar started the year around $4 per share, dropped a bit in February, and climbed back up to $3.60 by the market close on Tuesday. Vivint faces the headwinds that come with being a national, verticially integrated installer in a market that’s shifting toward the long tail. It’s been keeping a lower profile than Sunrun, which maintains a vocal presence in state and national policy conversations. Whereas Sunrun has made storage a serious pillar of its solar strategy, Vivint suffered an external setback: Its original storage partner, Mercedes-Benz, dropped out of the businessthis spring. That forced Vivint to find a new partner. It started offering LG Chem’s Resu product in the Utah market last quarter, with plans to expand to California this spring and nationwide later this year. That puts the company a few steps behind Sunrun on the solar-plus-storage front, which is heating up now as customers look for resiliency and protection from rate changes. On the plus side, Vivint has been more active than Sunrun in moving to cash or loan deals from leases and PPAs, which could improve profits in the near term.